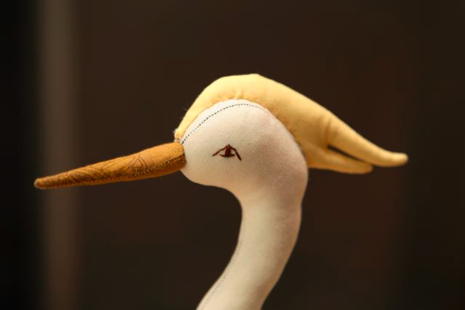 It is my pleasure to release the 100th episode of CraftSanity featuring a delightful and inspiring chat with soft sculpture artist, Abby Glassenberg. 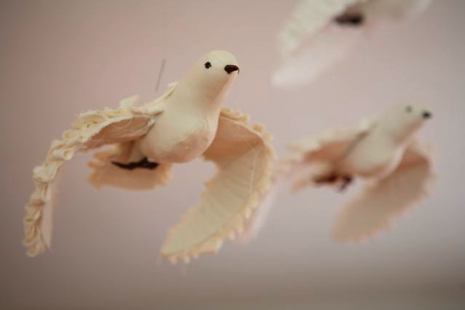 Abby, 33, of Wellesley, Massachusetts, makes one-of-a-kind soft sculpture birds in her home studio and documents her her adventures in mothering and bird-making on her blog, While She Naps, because, like many of us, she works while her children sleep. 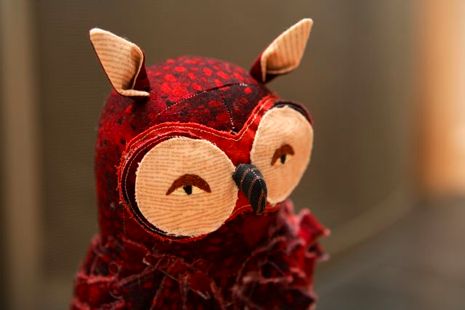 Using vintage fabrics and found materials, Abby creates impressive sculptures including owls, wading birds, larks, chicks, canaries, penguins, swans and raptors. 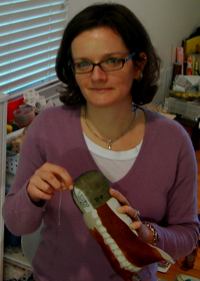 Tune in to the podcast to find out how Abby moved from making stuffed children’s toys to creating stunning gallery pieces that are shown all over the country. 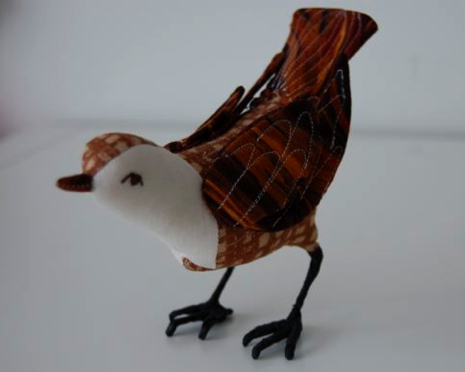 Check out her her portfolio to see more of her impressive creations, and shop for a lovely bird at her Etsy shop. After we recorded our chat, Abby announced some exciting news: She’s writing a book about soft sculpture that will be published by Interweave Press. Congrats, Abby! Read her blog announcement for the details. Enter to Win an Abby Glassenberg Original! During our conversation, Abby and I discovered that we have a lot in common as crafty mothers of daughters ages 3 and 5. So, Abby thought it would fun to ask listeners to recommend art or craft projects that would be fun for us to do if we ever manage to get our girls together for a play date. So post your suggestion below this post and enter to win the springtime bird above, that was inspired by an illustration from a Roger Tory Peterson book.